Many landscapes in California’s mountains are still relatively untouched by human activity and provide excellent opportunities for viewing wildflowers. This guidebook describes and illustrates the wildflowers that grow from the yellow pine belt up into the natural rock gardens that grow above timberline. 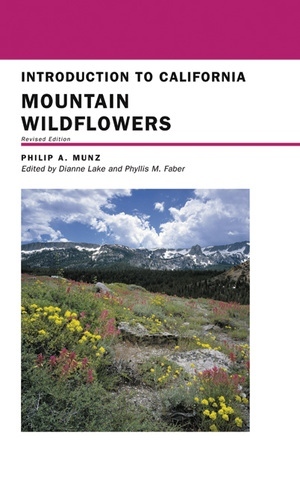 First published in 1963, this convenient book has introduced thousands to California’s mountain wildflowers. Now fully updated and revised, it reflects the many advances in botany that have occurred in the past forty years.